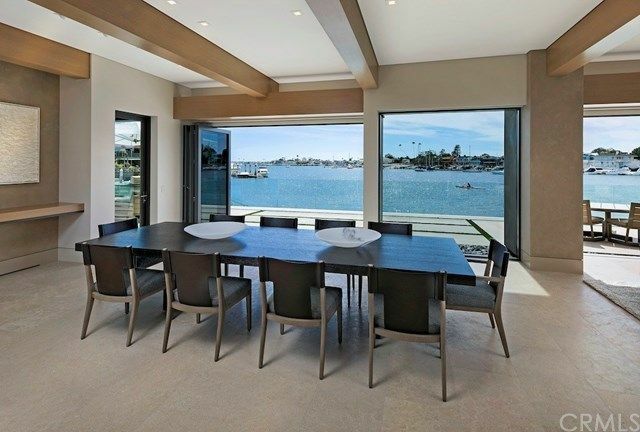 One of the most impressive properties on Newport Harbor, this exquisite new Linda Isle residence takes in panoramic views of the main turning basin from throughout. 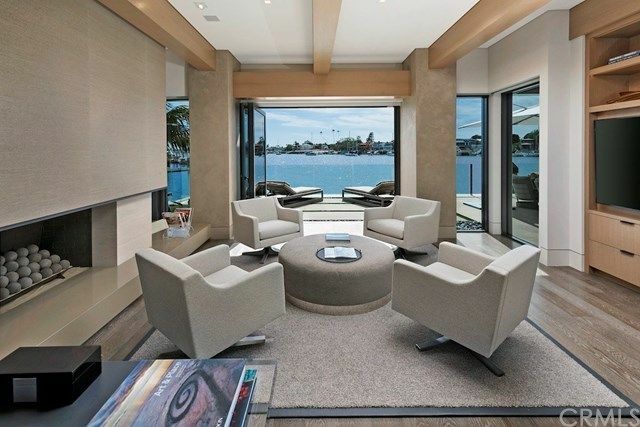 Featuring 113’ on the water, this is one of the largest parcels on the bay. 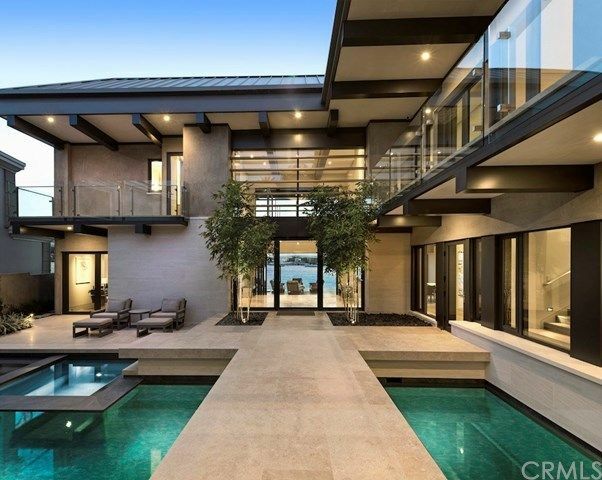 The inviting contemporary design, sheathed in metal and glass, is an impressive architectural achievement. 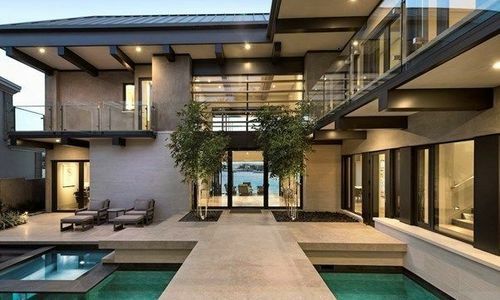 A two-story, glass-walled entry gallery provides a dramatic introduction to the home. Inside, approximately 7,000 square feet of sophisticated and refined interiors were recently completed by renown designer Jan Turner Hering. 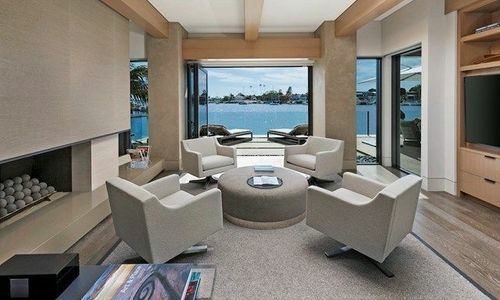 Situated on the water, a spacious living room, dining room, entertaining kitchen, and private study open through retracting walls of glass to the expansive waterside terraces. Two family rooms (one on each floor) overlook the idyllic courtyard pool and spa. The generously proportioned master suite includes a gallery, view terrace, sitting area, fireplace, and expansive bath and dressing spaces. Three additional bedroom suites feature water and garden views. 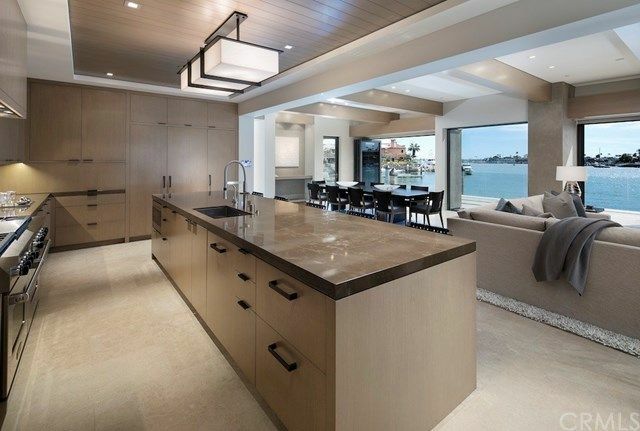 A private dock for a boat up to 60’ (expandable to 100’+), 3 car garage, elevator, and home automation system complete the offering. Presented in impeccable condition, this is a rare opportunity to acquire one of Newport’s finest homes. 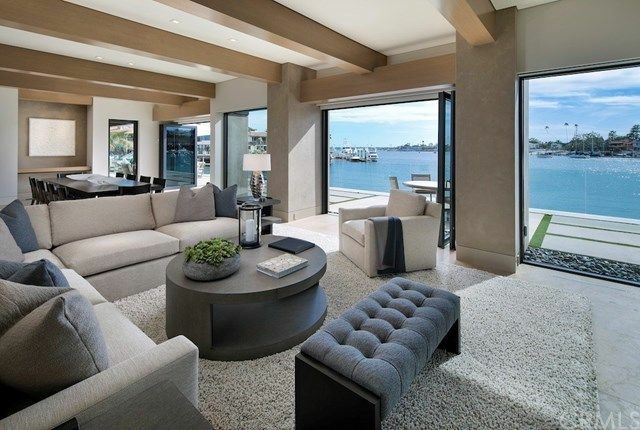 Newport Beach is a mid-sized oceanfront city in Orange County, California. It has approximately nineteen neighborhoods and is the 85th largest community in the state. It is a nautical community known for its beautiful ocean views, sparkling beaches, historic Newport Harbor and a wonderful semi-arid climate that encourages a healthy outdoor lifestyle. It is a wealthy community in comparison to both state and national economic standards. Newport Harbor is the largest recreational harbor in the state and is popular for rowing, sailing, kayaking, fishing and paddle-boating. 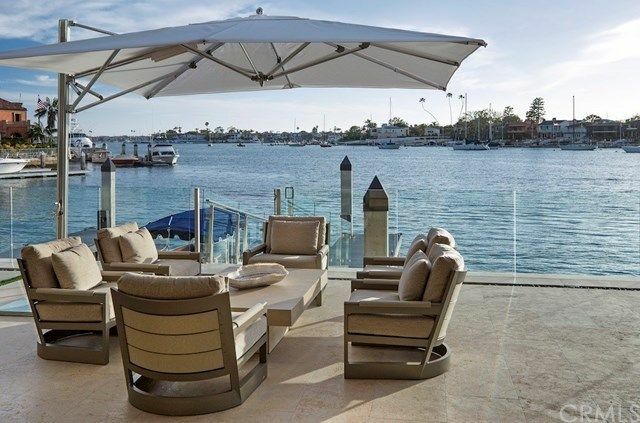 Life in the city of Newport Beach is all about luxurious beachside life. 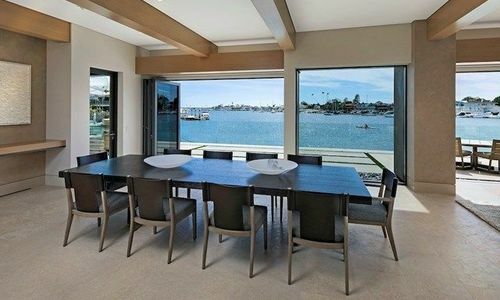 Neighborhoods in the city include, but are not limited to Corona Del Mar, Newport Heights, Westbay, Santa Anna Heights, West Newport, Balboa Peninsula and more. The most walkable neighborhoods are Balboa Island and Corona Del Mar. 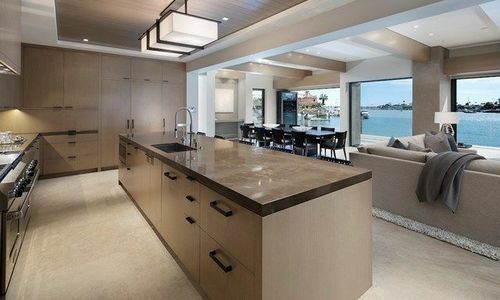 West Bay and Corona del Mar feature mostly beach homes. Newport Heights has wonderful condominiums as well as mansions. 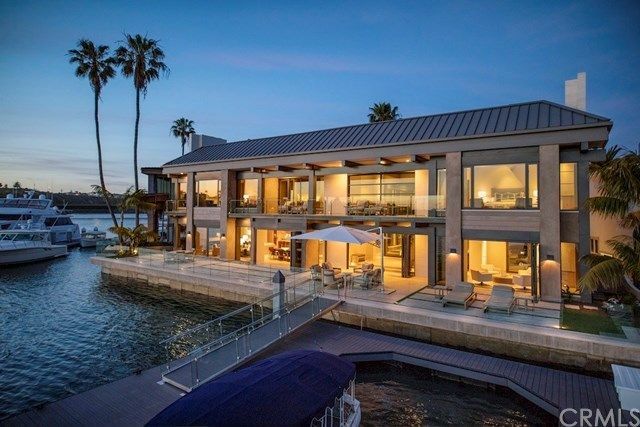 However, the most affordable homes lie in Santa Anna Heights and the most exclusive are on Lido Isle in the middle of the bay.